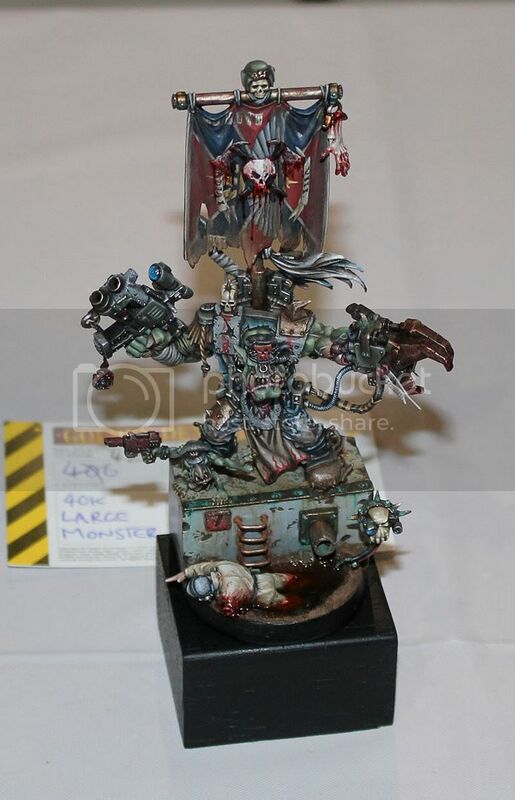 Forge world best of show - Craig C.
Gold - Aiden R.M. - "River Crossing"
Bronze - Adam W. - Escher Ganger? 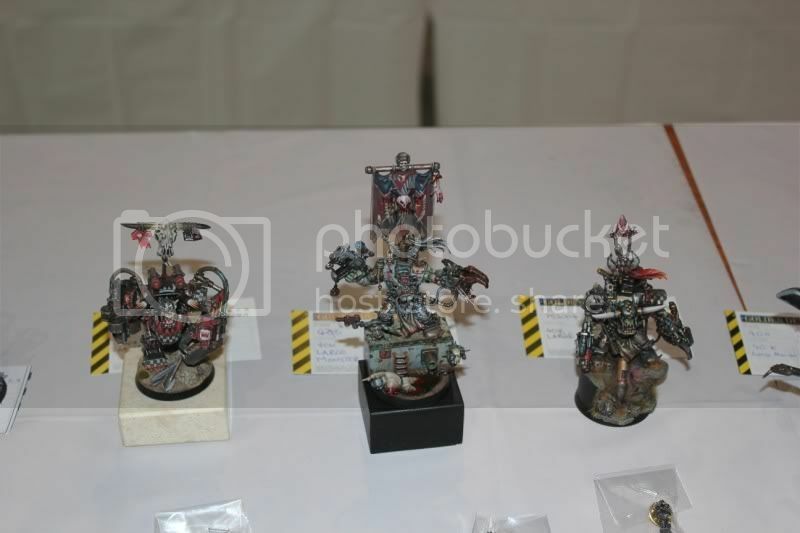 Wow serious ork trifecta for 40k large! I got gold with my Greatsword, and DDW (Coulter Wiseman) got silver in u18 single, too. Dances are an important ingredient in painting for GD. yeah thats amazing isnt it, you always hear that they never have two or three from the same race in a category... but there you go. three warbosses... could of made it a combined squad entry haha! Last edited by Tiljockey on Sat Oct 01, 2011 7:19 pm, edited 1 time in total. anoyone got the full results of the 40k vehicle category - I'm curious to see if one of the locals up here bagged a place? It's a Leman Russ Exterminator. or 'Baby blade"
I believe my Lamentors placed in 40K squad, but I don't know where. Congrats to all the winners! and some first timers like Nick (2 golds!) and some other forum members that didn't ever say they were entering like Sam and Heath! I don't have any decent pictures of my mini, but here is a quick picture of the 40k Large Model category winners. My Ork is the middle one, Andrew's on the left and Heath's on the right. 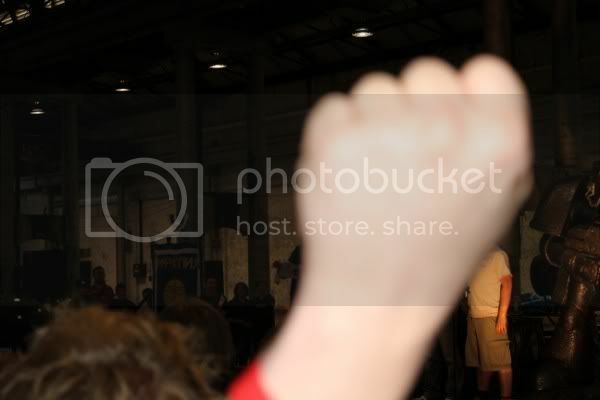 Have to say, Mark's fistbombing is one of my favourite moments from today. Anyone happen to know what took out the silver LotR single position? COngrats on the slayer sword Kyle. Nice work. nick 2 gold demons, awesome to see your persistence paying off. i have a feeling michael will be spending the rest of the day posting photos, he filled his memory card.